A “Disability Confident” company owned by the Department for Work and Pensions (DWP) subjected a disabled member of staff to repeated abuse from strangers after it refused for more than 15 months to make a simple alteration to his parking arrangements. It is now more than 15 months since wheelchair-user Jamie Shield reported to managers at BPDTS that he was receiving abuse from other workers at the Benton Park View complex in Newcastle because of the way he was forced to park his car. 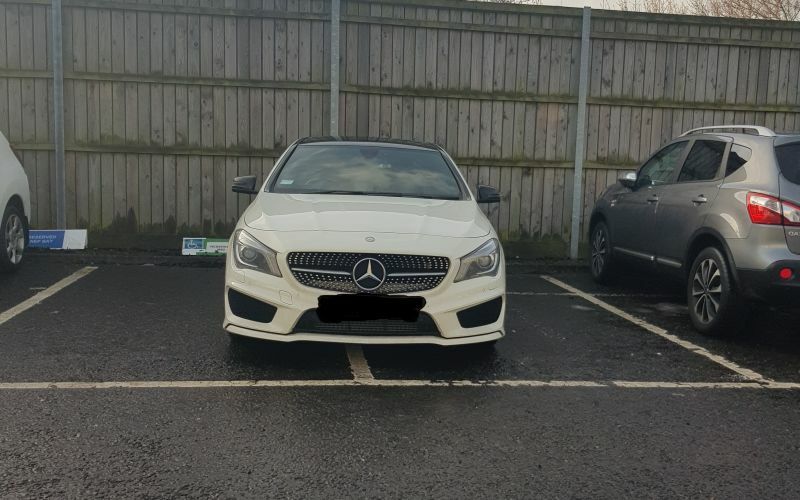 Instead of arranging for him to have an accessible parking bay, BPDTS had allocated him two spaces next to each other and told him to park in the middle of the pair of bays (pictured), allowing him space to slide from the driver’s seat into his wheelchair. But from the first day of the new arrangement, Shield began receiving abuse from passers-by, criticising him for parking in the middle of two spaces. The abuse was so bad that he has considered reporting it as disability hate crime. BPDTS was set up two years ago by DWP to provide it with its IT services, and is based at offices run by HM Revenue and Customs in Newcastle-upon-Tyne. 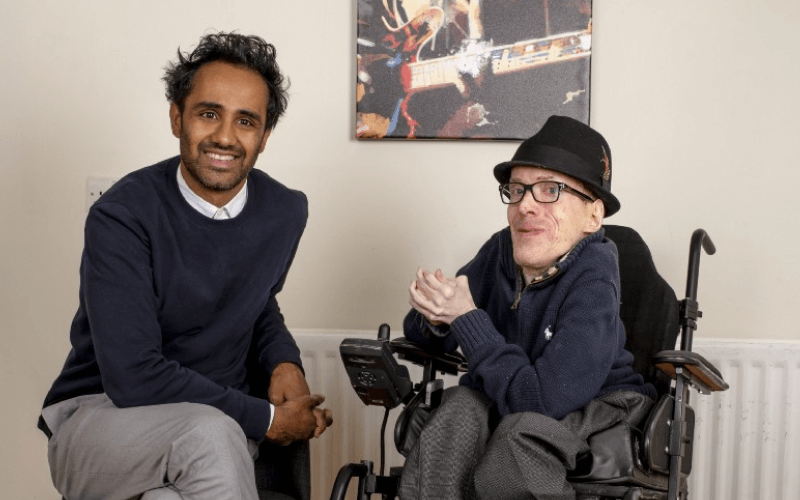 The company claims – under DWP’s own disability employment scheme – to be a Disability Confident Employer, for those organisations “recognised as going the extra mile to make sure disabled people get a fair chance”. Such employers must promise they are “proactively offering and making reasonable adjustments as required” to disabled employees. But Shield said: “On an almost daily basis I got colleagues shaking their head at me, gesturing with their hands, or at worst walking past making verbal insults. “Everybody who doesn’t know me and the arrangement thinks I am taking up two spaces. An employment tribunal case he took against BPDTS failed to properly consider these claims of discrimination for legal reasons, he says, and he is now taking a further case against the company. And he is still waiting for other reasonable adjustments to be put into place by BPDTS. Funding was approved in May 2017 for fellow staff to undergo awareness training in Asperger’s syndrome – as he is autistic – but the training has still not taken place more than a year later. He feels he is being victimised and says the discrimination he faces has increased since the tribunal ruling in April. He is now on sick leave. A DWP spokeswoman said: “The matters raised have been heard previously at an employer tribunal. The judgement of which stated there was no discrimination taking place. It is the second time a disabled BPDTS employee has alleged discrimination because of the Disability Confident company’s parking policies. Last September, Disability News Service (DNS) reported how Leonora Bateman was forced to quit her job because she was refused a parking space close to the BPDTS offices even though her mental health condition meant she experienced severe anxiety attacks when walking long distances on her own. The Disability Confident scheme has been repeatedly discredited since it was launched by David Cameron in 2013. Research published two years ago suggested it would be “trivially easy to abuse”, and in May 2017 DWP awarded itself the highest level of membership of the scheme despite being found guilty by the United Nations of “grave and systematic violations” of the UN disability convention. A Civil Service survey in 2016 had also shown how more than 1,400 disabled DWP civil servants claimed they had faced discrimination in the workplace, an increase of nearly a quarter on the previous year. DNS also revealed that among those employers that had signed up to Disability Confident were a company that tried to halve its disabled advisors’ pay; a religious order responsible for decades of abuse of disabled people; and a police force facing two disability discrimination inquiries. DWP’s three benefit assessment contractors – Maximus, Atos and Capita – all heavily and repeatedly criticised for the way they treat disabled people, have also declared themselves to be Disability Confident.